Partial exit is a feature that helps you manage your smallcase better. 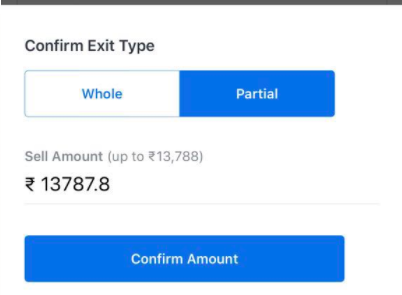 Through partial exit, you can exit your smallcase upto a desired value as opposed to a complete exit, where you sell all the stocks in your smallcase. Partial exit places sell orders for stocks upto the specified amount, while ensuring minimum deviation in the weightage scheme of the smallcase.